Not often you'll get a poetry discussion on an SF and Fantasy publisher's blog, admittedly (mind you, there's been some random stuff here anyway), but I wanted to bring this little tome to your attention. 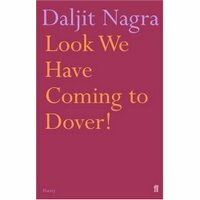 I read a great article in The Guardian newspaper about Daljit Nagra, a British-Indian poet. His collection Look We Have Coming to Dover! 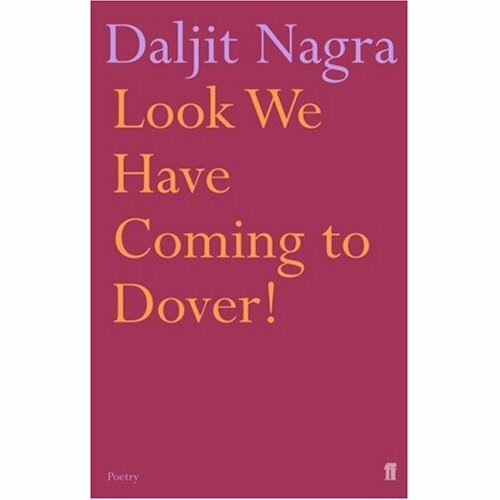 is a lively collection of poems, charting a stowaway's first steps on Dover beach (homage to Matthew Arnold's "Dover Beach" to the disenchantment of the following generations of Asians living in the UK. A fabulous angle on culture in the UK, written with a fantastic energy (one that reminds me of Salman Rushdie's early works). Take a look, it's pretty interesting, and very entertaining. Wonderful images of people and events, and quite often some profound offering.